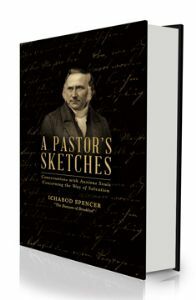 Solid Ground Christian Books is deeply honored to have the privilege of introducing Dr. Spencer and his remarkable book, A Pastor's Sketches, to a new generation. No one living in the Northeastern part of the United States in the middle 1800's would have believed that Spencer or his Sketches would ever be forgotten. Sadly and tragically this book and this man have been forgotten, and it has not been without consequences. All who become acquainted with this man through this book will recognize the poverty of modern evangelism and pastoral ministry when compared to his work. It gives us great pleasure to introduce you to a servant of God who poured himself out for the sake of immortal souls. Ichabod Smith Spencer was born in 1798 in Rupert, VT. He was unconverted until just after his 18th birthday. The previous year his father died and this left him utterly devastated. "It is highly probable that his father's death so deeply felt, and so great a trial, was sanctified to his soul, and overruled to lead his mind and heart, so dark and trembling, to the only true 'Rock of hope and support.' It was more than a year, however, after this event occurred, before the grace of God changed his heart, and turned his feet into the way of life." Spencer's ministry at Northampton from 1828-1832 was remarkably blessed with conversions. More than 250 in those few years came to Christ, and he wore himself out in the work. For health reasons alone he left that demanding and large ministry in 1832. The people of the city and congregation wept and mourned the loss of this precious servant of God, and they never forgot him, nor he them. They always delighted to receive reports of the work of the Lord in Brooklyn, and he rejoiced to hear how the hand of God was extended to the brethren in his first parish. Spencer placed upon himself the demand that he would have a home visit for every member of his church every year, which he did for all 22 years. These visits were not for social but spiritual purposes, and were rarely spent in vain. It is said that he averaged over 800 appointments with souls every year for the 25 years of pastoral labor. Perhaps the most remarkable thing is that he recorded each of these in careful fashion and had a dozen huge volumes containing detailed information on each of these visits. His Pastor's Sketches contain material drawn from these volumes. The two volumes of Sketches contain but 77 specimens taken from over 20,000 available to him. It is no wonder that he came to be referred to as The Bunyan of Brooklyn. He was a man fully committed to the doctrines of grace, and he constantly preached upon the themes of total depravity, sovereign grace, free justification by faith in Christ alone, the certainty of the judgement to come, the greatness of the mercy and love of God. He preached these themes both publicly and from house to house. As great and gifted a preacher as he was, and as effective as his sermons were to awaken sinners, it was his personal ministry that was most mightily blessed by God as he dealt with anxious inquirers. Dr. Spencer would likely have never published this priceless book had it not been for the constant prodding of his ministerial friends and congregation. After many years of such prodding he finally acquiesced and released the first series of Sketches. The response was so overwhelming that he soon was pressed to put out a second series, which he did more than two years later, the year before he died. 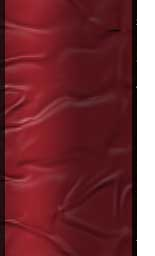 We are told that the first volume "at once received no little attention. It was noticed with universal favor in the religious, and even the secular press. It has already (by 1856) run through many editions; having had a larger sale than almost any other strictly religious book which has ever been issued in this country." "No one familiar with A Pastor's Sketches, wonders at their popularity. They combine the graphic and the pathetic interest of the productions of the best class of novelists, with the instruction of a great mind and of extensive experience on the highest and most solemn of all themes. None but a genius of the first order, a wisdom imbibed at the feet of the Great Teacher, a thorough knowledge of the human heart in its most subtle forms of deception and in all its casuistries and varied developments, and a personal observation of singular scope on this field of labor, could have produced such deeply interesting and life-speaking sketches." One of the results of the publication of these volumes was the spread of his fame as a healer of souls. Soon he was receiving letters from all over the country from sin sick souls seeking relief. He answered every one with care. Along with preaching four to five carefully prepared sermons each week, and ministering to his growing congregation, he now had to stretch himself even further. Sadly, within a year his health broke down and he never recovered. He suffered greatly his last months. One of his dearest friends, Gardiner Spring, was with him as he drew near to the grave, and the Lord gave Spencer wonderful peace to the end. He fell asleep in his Lord on Nov. 23, 1854. The privilege of preaching Dr. Spencer's funeral sermon fell to Gardiner Spring, and he preached a passionate sermon entitled "Triumph in Suffering" From Romans 8:18, "For I reckon that the sufferings of this present time are not worthy to be compared with the glory which shall be revealed in us." The large Church was crowded to its utmost capacity, and thousands more stood outside in deep mourning, so universal was the respect felt for his memory, and so great the anxiety to mingle in the melancholy scenes of his burial. An eyewitness described the scene: "My eye has never rested on a more sublime spectacle than was presented by that house of God, clothed in its gloomy drapery, and crowded with that sea of faces; now turned upward to listen to the venerable preacher, as he expatiated on the glories of that land where these is no sickness, nor crying, neither any more pain; and now bowed down to weep when reminded that the body of him who had so long been the light of that sanctuary, was coffined before its altars." It is not often that so many pious tears consecrate the burial-service of the dead. The death of this saint was precious not only in the sight of the Lord, but in the sight of his whole Church, and of the city in which his light had shone so long and so conspicuously. This book is not only for pastors or missionaries. In fact, the intention of the author was that it be used for troubled and anxious souls, as well as for ministers of the gospel. It is deemed most appropriate that this Introduction conclude with the words of the author taken from his Preface to the second series of Sketches which was written in March 1853. It expresses his desire for both volumes: "If this humble volume, by the blessing of God, shall be the means of aiding sinners in the way of salvation, and of any little assistance to the younger ministers of the Gospel, in directing the anxious, and guiding the perplexed, and comforting the broken in heart, the author's hopes will be realized."